My New Books -- Perfect for Families Who Love Science! 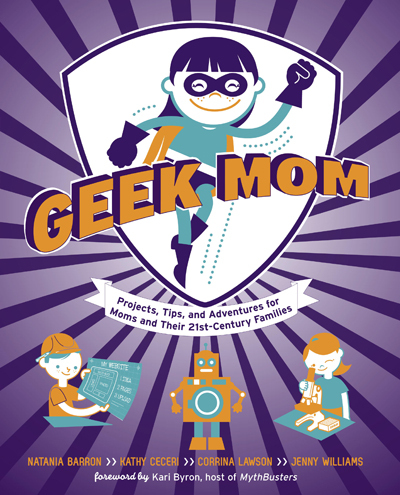 This past year has been busy -- but the result has been TWO new books with tons of amazing science and other geeky projects for kids and families! Geek Mom: Projects, Tips, and Adventures for Moms and Their 21st-Century Families is a new book from Potter Craft co-authored by me and the other editors of Wired.com's GeekMom blog: Natania Barron, Corrina Lawson and Jenny Williams.Written primarily for moms who want to share their geeky interests with their kids, it includes fun activities like superhero costumes, math puzzles, snack food hacks, and science-y crafts, as well as a whole chapter of at-home experiments. 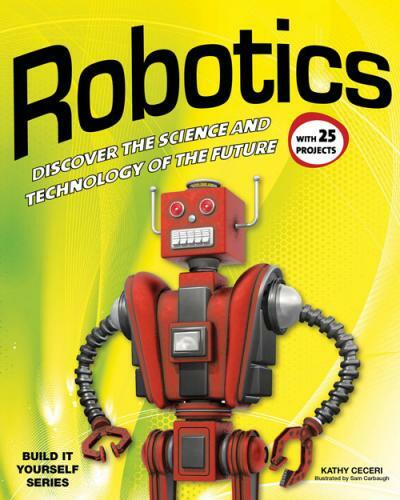 Robotics: Discover the Science and Technology of the Future with 20 Projects, a book for kids ages 9-12 from Nomad Press, is packed full of information about how robots work and contains "low tech/no tech" projects based on actual robotics research. No special tools or skills are needed to build any of the working robotics models in this book -- just ordinary crafts materials and recycled electronics parts! Both these books are available from Amazon or your favorite local bookstore. You can see sample projects and photos and read more about the books on my website Crafts for Learning, my Amazing Robotics Projects Facebook page, and on GeekMom and GeekDad!